Grief and grieving can feel like a never ending journey. It's hard to eat, to sleep, to get up and go to work. It can feel like a physical weight you're carrying around. At the same time you are worried that you're letting things fall apart. What if there was a way through it all? What would life look like after the grief is gone? Imagine getting back into the world, feeling motivated to join in activities again, eating and sleeping well, enjoying life. Teleconsultation is an effective and efficient way for you to access counselling. You can access a session at a variety of times that suit you without the hassle of transport or parking. And no lost time due to travelling in traffic. No matter where you are in Melbourne, or Australia you can access a session with me. You need time, understanding and empathy, a safe place to express your pain and grief. No judgements, no platitudes, no-one telling you "time heals all wounds". You need a space that allows you to give voice to the many emotions that can rise up during the grieving process. It's often not just tears but anger, frustration, guilt, fear, sometimes relief. There is no right or wrong, good or bad. But sometimes you get to wondering "How do I move forward?" There are tasks that can help you get back on track again, get you back to being involved and enjoying life. We can work on these tasks together and help you understand the journey you are going through. 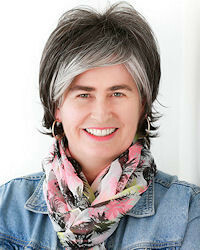 I maintain membership to the Australian Counselling Association, and Counsellors Victoria Inc. Ongoing learning and supervision is an integral part of my practice. Everyone has an experience of loss and grief in their lives. The decline of health, coping with a disability or a family member developing an illness, a move away from family or friends, loss of a pet, redundancy in the workplace, car accident, unfulfilled dreams and ambitions. Working in the healthcare and disability sectors has given me the experience to see how personal each and every loss can be and how important genuine support is. I endeavour to answer calls and enquiries within 24 hours. Ample parking available at Caulfield North consulting rooms. Teleconsultation makes transport and parking no longer an issue. An encounter with two people who had had open heart surgery. I wanted to sit with each person and listen to their story, their fears, understand what knowledge they lacked that was making their journey through this ordeal even harder. Having worked in aged care as a registered nurse I had been able to spend time with residents and their families and give them more holistic care. A busy cardiac ward is not a place that time moves slowly or patiently in. This made me think that there is work to be done. People need someone that they can express their fears, anxieties, desires, challenges and dreams to in a non-judgemental space. They need someone who can help them work with their issues and grow towards being fulfilled. My Behavioural Science degree was all about behaviour change, reinforcement and measurable outcomes. Much of my work has involved teaching new skills to people who faced either physical or intellectual challenges. So teaching meant observation, adaptation, modification, patience, laughter and cheering! Nursing also involved those attributes! What has influenced me most is learning to listen and to journey with my client. Holistic care is so important. Being able to understand the whole person and the values they hold and to work within their boundaries in order to create a success that they value. Freeing the individual from inner conflict or turmoil. To find a way to look at an issue so that pain or conflict is eased. If the pain or conflict can be removed that is even better. To be able to find inner peace so that energy can be directed to positive things that make the person's life more meaningful. Carl Rogers' person-centred approach allows the client the space to be who they are and say what they need to say in their authentic voice, with no judgements. This method also allows me to listen. I believe most people can find the solution to their issues. What they need is some help with finding their path and ensuring that it is the path they wish to take. I also utilise JW Worden's approach to grief and loss. Worden focuses on a task orientated approach to understanding the process of loss, grief and significant change. I believe practising a behaviour can change our mindset just as physically practising a skill makes us better at that skill. Identifying past successes can also help to create positive change in our minds. I also like to challenge beliefs, in a gentle and positive reframing manner, so that a client can explore options that they have not considered before. Every person is different. Frequent evaluation of interventions and method is critical. The intervention has to suit the client, it has to resonate with them or else it is meaningless. People! Everyone has a story to tell. It's a two way street, we all learn from each other. Everyone has "bad hair" days. The issue is how we cope with those moments. Do they consume us or do we see them within the context of the larger picture? The Power of Habit. Why we do what we do and how to change. By Charles Duhigg. Totally riveting how habits form, their evolutionary purpose and how habit can be used to change ourselves and create potent social change. A song by an American artist, Matisyahu, Live Like a Warrior. Be inspired to throw off the shackles of yesterday and live an authentic life regardless of what others say.